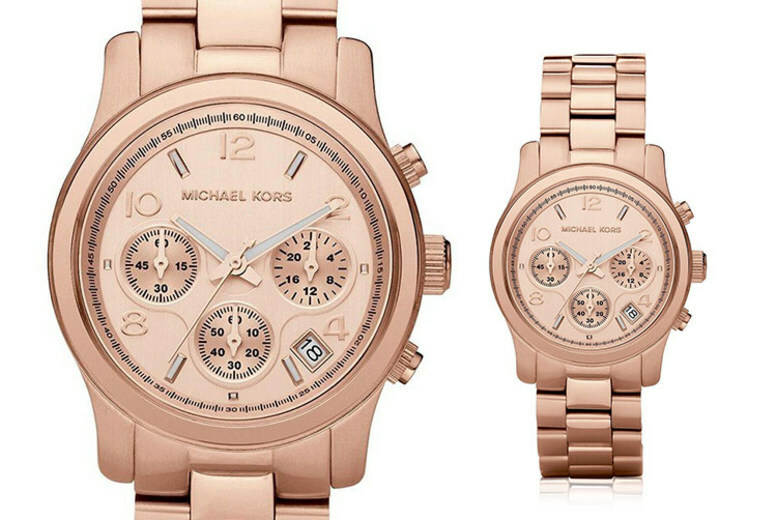 Check out this deal for a Michael Kors MK5128 ladies rose gold Runway chronograph watch! Get a Michael Kors MK5128 ladies rose gold Runway chronograph watch. With a champagne dial colour for a sophisticated aesthetic. Displays three sub-dials to meet all your needs. Features mineral glass, analogue movement and 10 metres water resistance features. The perfect timepiece to take any silhouette to the next level of elegance.